Millions of viewers across the United States spent the weekend of July 18-20, 1969 glued to their televisions. They watched and waited as the Apollo 11 spacecraft coasted a quarter-million miles away, aiming to bring humans to the surface of the Moon for the very first time. The expensive Apollo 11 mission fulfilled the monumental goal set forth by the late President John F. Kennedy in 1961. The endeavor on which he had the nation embark would forever cement his name in history, as it would that of Neil Armstrong and only a few others. That same weekend, back on Earth in the southeastern corner of Massachusetts (MA), the youngest and last surviving brother of that slain president would also cement his name, though not in the way he had planned. Surrounding him, a dozen or so men and a few women kept optimistic that the older brother’s achievement from beyond the grave would flood the airwaves enough to leave them in control of the situation. A young woman had died, but the reputation of a man with future political prospects and the pressures of revitalizing a family legacy need not die as well. They hoped in this, even though deep down—most of all in the soul of Senator Ted Kennedy—that they were hoping in vain. 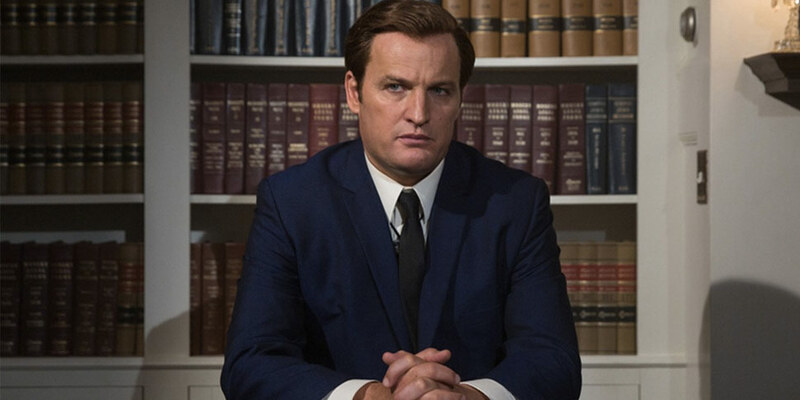 Director John Curran’s Chappaquiddick (from a script by Taylor Allen and Andrew Logan) returns audiences to this bizarre historical event, wrapping them in that bleak atmosphere with the help of Jason Clarke’s subtle lead performance. It is the weekend of July 18-20, 1969. Sen. Edward “Ted” Kennedy (Jason Clarke), his cousin and lawyer Joe Gargan (Ed Helms), and former MA District Attorney Paul F. Markham (Jim Gaffigan) travel to Chappaquiddick Island, MA, off the east side of Martha’s Vineyard. Ted wished to take part in the local yacht regatta, having missed the previous year’s regatta due to the assassination of older brother and presidential hopeful Robert F. Kennedy. Ted and the men have also planned an overnight party on the 18th for the women, dubbed the “Boiler Room Girls”, who had worked on the late R.F.K.’s campaign. That night, one of the women, Mary Jo Kopechne (Kate Mara), accompanies Ted on a night drive, presumably to take her to the ferry port. Instead, he drives the car off Dike Bridge, landing it upside down in Poucha Pond. Ted manages to escape, but Mary Jo gets trapped in the car and dies hours later. Ted, neglecting to report the incident for nine hours and later letting the resulting investigation escalate to dangerous levels, may have altered his political future for the worst. Once set for release at the end of 2017 as a potential Oscar contender, Entertainment Studios made the most wise choice of pushing Chappaquiddick to 2018’s pre-summer movie season. 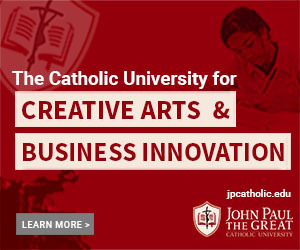 Director John Curran’s historical drama would have crashed and burned back in December. Instead, as an April release, the film offers viewers a worthwhile and insightful (or not, given the event’s lingering mystery) trek to the cinema. Chappaquiddick’s unexpected quality starts first with Jason Clarke’s lead turn as Sen. Ted Kennedy. Clarke’s performance shines here, unlike in the once-promising period horror flick Winchester from earlier in 2018. Depictions of the Kennedys, not to mention depictions of most Massachusettsans, tend towards ear-grating, exaggerated Boston accents. Clarke under-stresses this trait, enabling the Aussie-born actor to channel the trance-like denial and later frustration and confusion of a man who has made a grave mistake. As for the rest of the cast, Ed Helms gets to stretch his dramatic chops as Joe Gargan, the film’s moral backbone. Clancy Brown steals scenes in his short screentime as former U.S. Secretary of Defense Robert McNamara, who gets tasked by Kennedy patriarch Joe, Sr. (Bruce Dern, rendering himself into a formidable cripple) to assist as one of the crafty janitor’s in Ted’s predicament. Also leaving a reasonable impression with limited screen space is Kate Mara as Mary Jo Kopechne. Mara, who headlined last year’s Megan Leavey, displays the resilience of a young woman uncertain of her future, in or out of politics, but willing to brave whatever comes her way, even the ever-depleting oxygen inside an overturned and submerged vehicle. Another noteworthy element in Chappaquiddick is Garth Stevenson’s score (listen here). Roughly one part The Social Network and two parts Spotlight (at least to my ears), Stevenson’s ambient score captures the tragic, melancholic tension of a once-powerful family whimpering at the continued devastation of its hopes and dreams. “Drown”, in particular, leaves listeners in anguished dread, while “Whitewash” stands out with its catchy melody, building upon itself like Ted and his team’s vain attempts to dampen the incident’s fallout. Chappaquiddick might not land itself in anyone’s top ten list for 2018, but I continue to have a strange admiration for it. I admire it for having the modesty to accept that, while it lacked the wherewithal to compete for the recent 90th Academy Awards, it could offer cinemagoers something of value in a less active movie season that encourages low expectations. In fact, Chappaquiddick might even have a small chance of factoring into the race for the 91st Academy Awards, especially with Jason Clarke’s impressive lead turn and Garth Stevenson’s haunting score. At the very least, it makes me glad that this most enigmatic historical episode, after having spent decades as a political punchline, has received its one serious and essential dramatization. It may have taken only a few years for many to start laughing at the eventual “Lion of the Senate’s” early disfigurement, but it took half a century for cinema to remind everyone that he had to live the rest of his life with the lingering pain of pulling his own whiskers.